FIABCI Houston Council New Board and guests – Mai-Lan Trinh, Immediate Past-President; FIABCI-USA President Susan Greenfield; Claudia Cooper; Enid Cleland; Pius Dawson Houston Council President; Juan B. Sosa, Former US Ambassador to Panama; Jane Bryd; Charlie Kriegel, Jr; Daniel Albert; and Nancy Furst, Texas Association of Realtors. Chicago Midwest Council Reception on June 28. FIABCI World President 1996-1997 Sheldon Good regales the attendees on how he used FIABCI to develop a legendary career in international real estate. 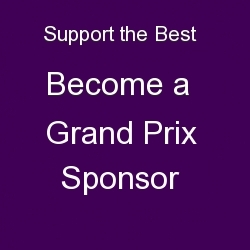 The Grand Prix of Real Estate, FIABCI-USA’s major public relations program and preliminary competition to qualify projects to move on to the World Prix next year at the World Congress in Dubai is open for entries. This year the Grand Prix Committee has added two new categories to our FIABCI-USA Grand Prix program: Marketing Program & Sales Team. The application deadline is September 30. The project submitted must have been completed, operational and occupied by December 31, 2016. Click here for entry procedure information. Start now seeking entries in your city and take home an award from our Fall meetings in Chicago in November and from the World Congress in Dubai next year.